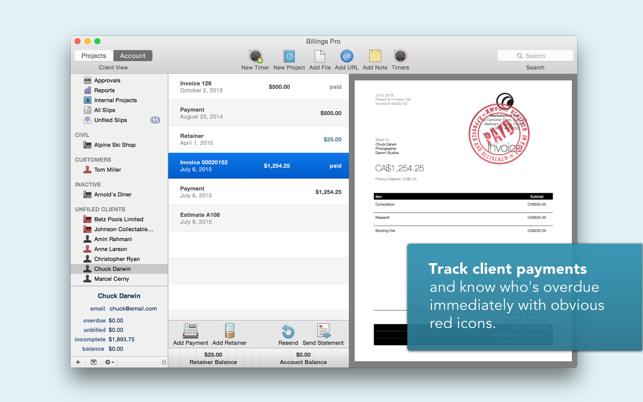 Billings Pro helps you create professional invoices and track time, expenses, and payments from your Mac, iPhone and iPad. 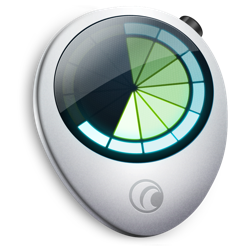 • Synchronize between multiple iPhones, iPads and Macs. 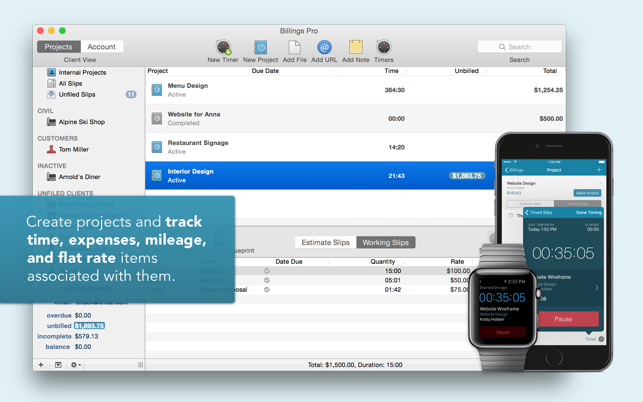 • Add unlimited clients and projects. • Flexible billing options that include time, project, expense, product, service, or flat rate. 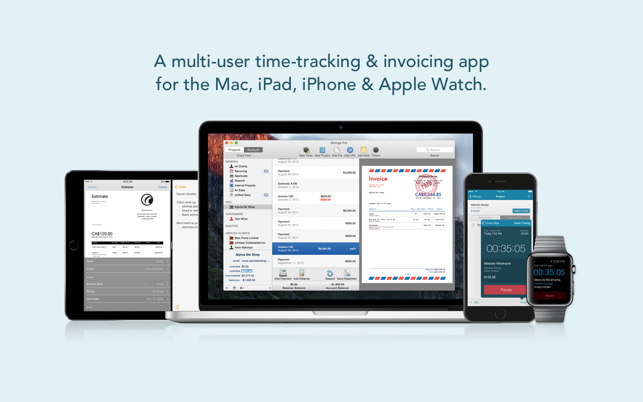 • Easily identify overdue clients and outstanding invoices. • Send estimates and statements. 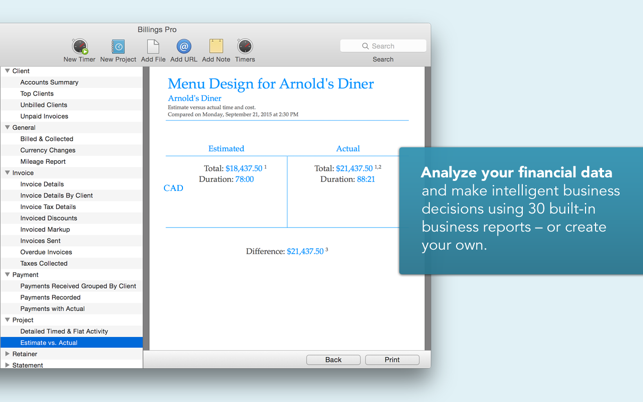 • Run comprehensive reports that help you understand your business. • Add additional colleagues if necessary. • When deleting an item the description of expected behaviour in the alert message is more clear. • Renamed “Taxes Collected” report to “Taxes Invoiced”. Buggy, unreliable. Timers randomly stop working. This is such a disappointment. I just migrated over from an older version of Billings that worked fine. What a mistake! My data migrated over seamlessly, including a single working slip with a balance of 12 hours on it. I went to start the time and continue tracking my time on the project and… nothing. The timer wouldn’t start. 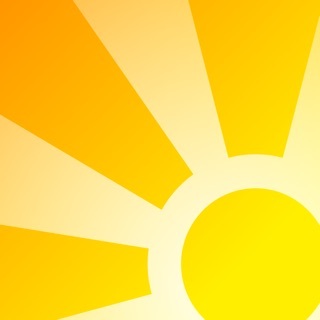 I rebooted the app, etc. Nothing worked. Finally, I duplicated the slip and was able to start timing. This was annoying because I now had 2 separate slips for the same project, which I’d have to merge before invoicing, but I figured it was maybe a one-time quirk. However, now that 2nd timer stopped on it’s own. I looked up from working and the menu bar tracker was black, not red. Great! Now I can’t trust the time tracker to do it’s sole job. And it wouldn’t allow me to resume timing. I did the duplicate slip trick again, and this time it didn’t work. So now, time tracking isn’t working at all. I guess I’m going to have to find another way to track my time, because even if I can get Billings Pro working again, there’s no way I can trust it with my data. So I bought this software a few years ago when I was doing loads of freelance work. It was great for what I needed, fast simple and relatively easy to use. Fast forward 4 years later .. I need a subscription (albight maybe a free one, but a subsctiption nontheless) to use it. I paid for the pro Version of this software. If I paid for something I expect I can use it for the version entirely. First thing this software asks is for login credentials for their cloud service. What if I dont want to use those cloud services? All said .. if 3 stars for the software when I was able to use it and how good it was back. This is a very interesting possibility for a small firm up until you try to use the invoice templates. 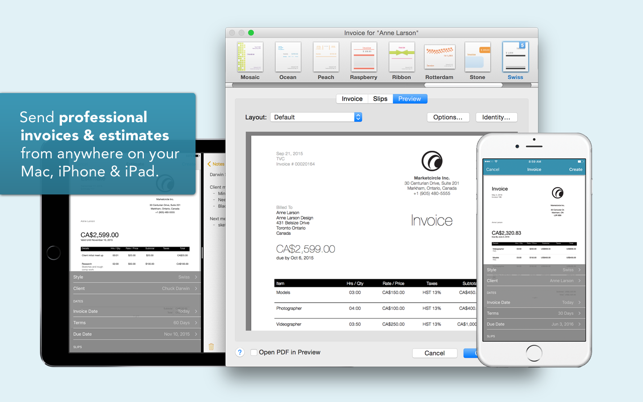 Almost anyone needs firm specific invoice templates. We were unsuccessful at trying to create one with this program. The litttle bit of documentation and video instruction available does not help. The developer suggests consultants to use. We wasted time trying to hire some of their suggested consultants but were not successful at that. They simply don’t want to take a job to create a few small templates…..and we don’t really blame them. This really needs to be worked out by the developer before this program will be practical. We do see the potential but its not ready.